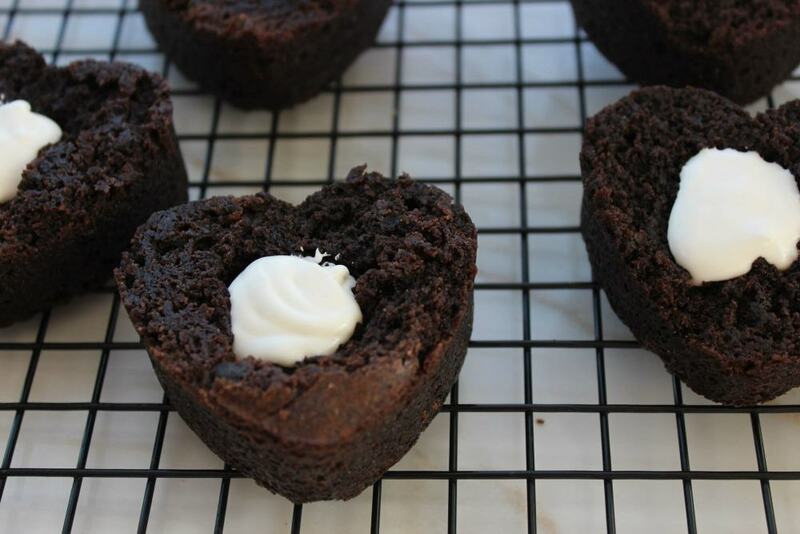 These Chocolate Covered Heart Cream Filled Brownies are the perfect treat for your loved ones. 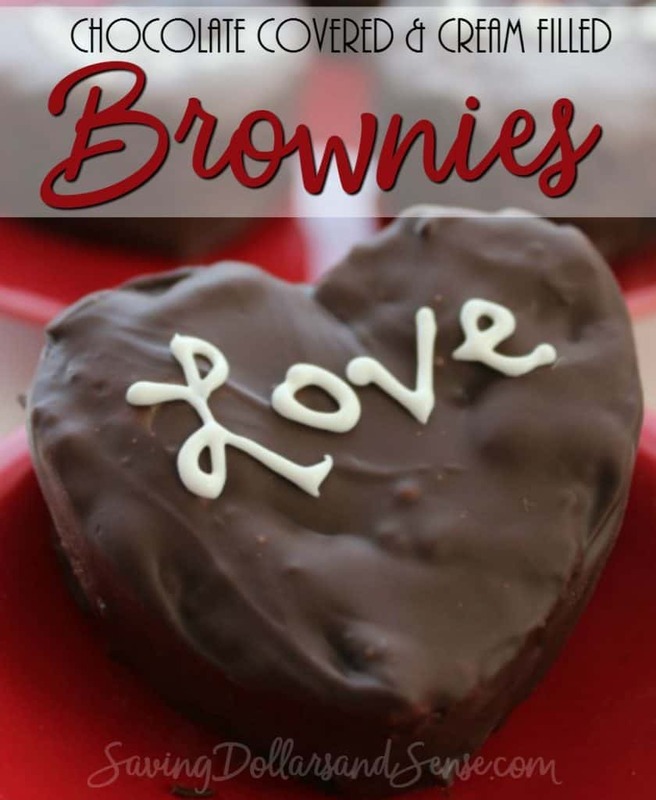 These conversation heart styled brownies are so fun to make. I love being able to write a special message to someone using this conversation heart dessert or just choose a few different words that describe the person who will be eating them. They do require a little work, but nothing too difficult, just make sure to follow each step. The results of you efforts are these adorable, cream filled chocolate covered brownies! YUM! 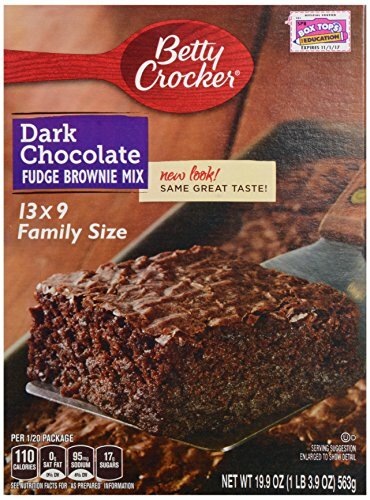 This recipe uses a boxed brownie mix, but you could easily use your own homemade brownie recipe as well. 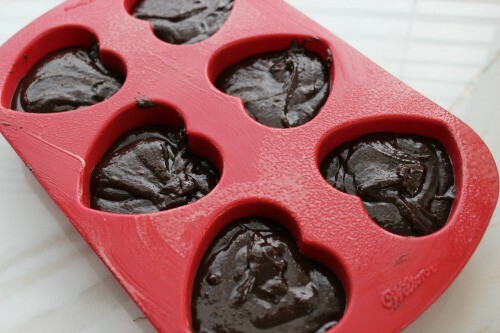 Prepare brownies according to box directions or you favorite homemade brownie mix recipe and pour into a heart shaped silicone mold (slightly overfill) or into lined cupcake tins. You can find the heart shaped silicone mold on Amazon. Bake at 350 degrees for approximately 30 minutes (until toothpick inserted in middle comes out clean). Combine marshmallow cream, vanilla, powdered sugar and softened butter until blended to make the creamy filling. 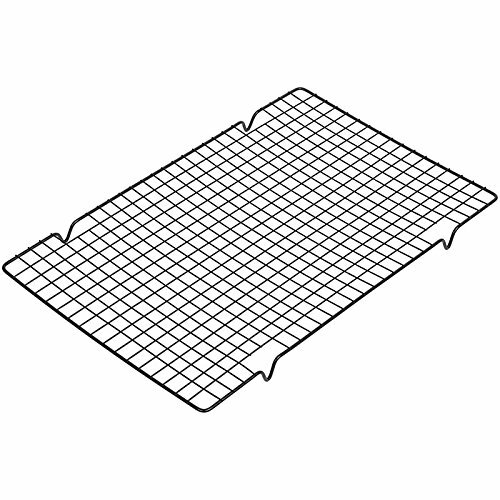 Transfer to piping bag or to zippered storage bag with one end cut off to use for piping. 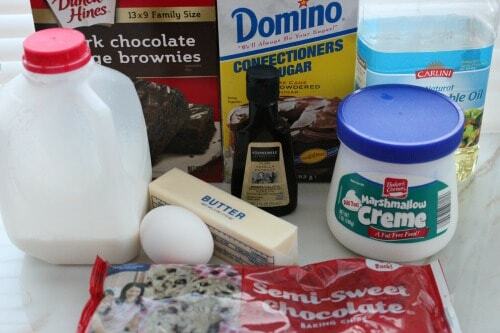 Remove the top of each brownie with a sharp serrated bread knife to make them flat and level. Core out a hole in the middle of each brownie where you will be adding the cream filling. Pipe in the creamy filling. Melt chocolate chips by microwaving them for 30 seconds and then stirring. Repeat this process until they are melted and smooth. Dip the top of each cake in chocolate and place on rack to cool. Place the cooling rack in refrigerator for 15 minutes. Transfer remaining filling to a smaller bag and clip very small piece off end in order to write messages on cakes. You can print this recipe out below to add to your own personal collection. 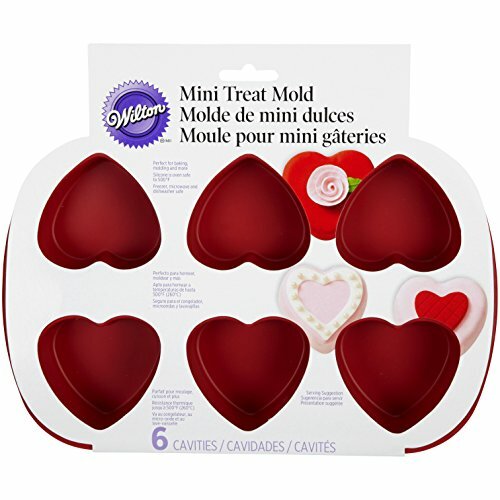 Prepare brownies according to box directions, but pour into heart shaped silicone mold (slightly overfill) or into lined cupcake tins. Bake at 350 for approximately 30 minutes (until toothpick inserted in middle comes out clean). 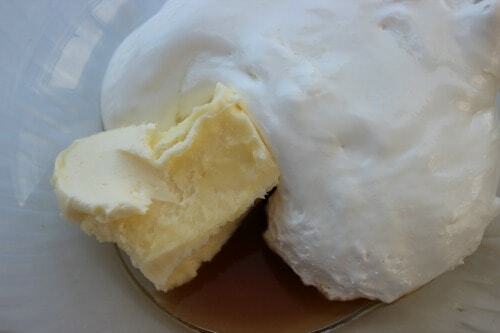 Combine marshmallow cream, vanilla, powdered sugar and softened butter until blended to make filling. Transfer to piping bag or to zippered bag to use for piping. Remove top of each to make them flat and level. Core out a hole in the middle of each, removing brownie. 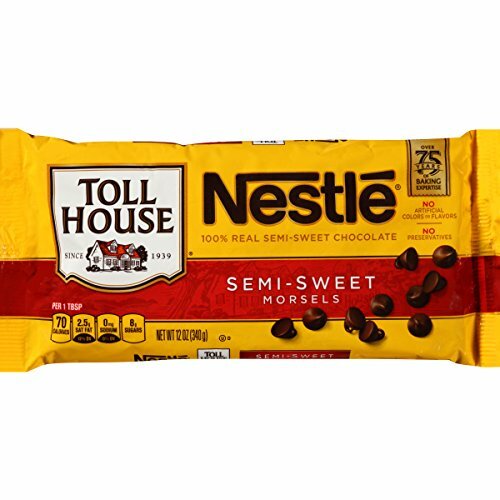 Melt chocolate chips by microwaving for 30 seconds and then stirring and repeating until melted and smooth. Dip top of each cake in chocolate and place on rack to cool. Place rack in refrigerator for 15 minutes. Where do you add the powdered sugar? 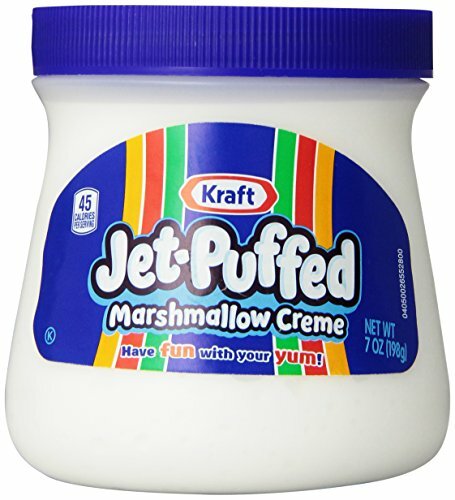 With the marshmallow creme? I assume about 1tsp of vanilla or less?